Greenfield’s debut memoir traverses his own memories, from his cultural awakening during the hippie movement of the 1960s to the many places it led him. After growing up in a small town in Illinois during the ’50s, Greenfield experienced a profound awakening while attending Stanford University in the early ’60s. The cultural and political currents of the nation, in California in particular, confronted him with a startling contrast to the conservative boarding school education he received in the Midwest. 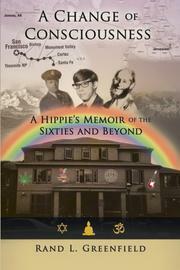 Through a series of colorful anecdotes, contextualized with the help of some minor historical and cultural background, Greenfield presents an interesting cross section of the times through his personal experiences, from studying with Phillip Zimbardo during the time of the infamous Stanford Prison Experiment to days spent following the Grateful Dead during the era of Timothy Leary and Owsley Stanley. Greenfield documents his time living in Stanford's first co-op, multiple road trips throughout America’s national parks, and the various spiritual and cultural epiphanies he experienced along the way. Eventually Greenfield found his way to New Mexico, where he helped build a commune and attended law school. His legal career took him to Alaska, Oregon, and even Israel. He eventually returned to New Mexico to build a practice and start a family. Greenfield reminisces in warm, jocular prose, often undercutting even the most serious moments with a joke or aside. This lends the narrative an intimate, conversational feel, one aided by the author’s almost cavalier references to drugs, love, and rebellion that one might expect from a memoir of the era. While the story might only interest those fascinated with the countercultural ’60s and those who experienced it, this memoir provides intriguing and playful insights into one man’s quest, even if it lacks high drama or more famous characters. A lighthearted, appealing journey through America from the ’60s to the present day.